FSS is fined for racist behavior of fans on a football match of Serbia up to 21 years against Belgium, played on 15th November 2013th year. Supporters national team of Serbia imitated the sounds of monkeys, which is why will the next World Championships for national teams up to 21 years play in front of empty stands for the home fans. 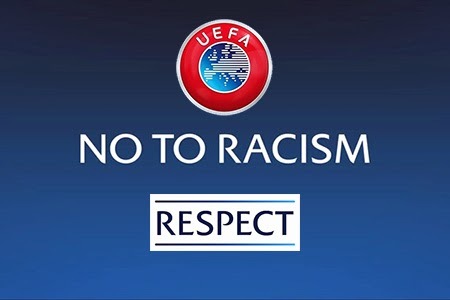 In addition on the stadium will be placed a banner with an inscription "No to racism" while the captain of representation of Serbia to turn to before the match with the message of the importance of the fight against racism. CSKA Moscow was also fined for racist behavior of its fans at the game with the Czech Viktoria Plzen been played 10th December 2013th as part of the Champions League, which is why the Russian club their next match in European competitions, playing in front of empty stands, and pay 50,000 euros fine. Team Apollon was fined for racist insults its fans in a match against the Polish Legion Warsaw played 12th December 2013th year in the Champions League that will make the next match in European competition play in front of empty stands.